You are here: Home » Blog » Guidance and Advice » Dry powder fire extinguishers are they correct for your business? Dry powder fire extinguishers are they correct for your business? 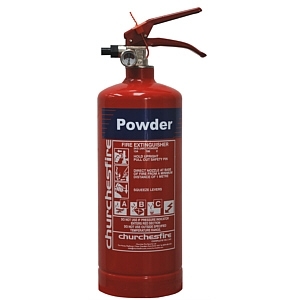 Have you ever wondered why you have a dry powder fire extinguisher in your business? Its true that dry powder fire extinguishers can deal with fire classes such as A B C and fires involving electrical equipment but should never be considered as a one does all solution to your hazards and fire loading. Its true that they are the only type of fire extinguisher that can deal with fires involving gases. Imagine a 2 kg dry powder fire extinguisher in this way! What would it look like if you threw 2 kg of baby powder around your place? How long would it take to clean up? They effectively destroy electrical components such as computers, servers and photocopiers. They reduce visibility and can hinder you finding an escape route. They may aggravate respiratory problems such as asthma. They make you cough, splutter and irritate your eyes. Watch this video I made outdoors and make your own mind up then ponder the questions after here. Look at where they are sited, whats the hazard they are there to deal with? Would you have one in your type of business now? Have you been provisioned correctly by your fire extinguisher company or sold things you don’t need? If your not sure then we can come and carry out a free no obligation workplace survey for you. Thanks for taking the time to read this and if you have any questions then please call me at any time on 01415612735. This entry was posted in Guidance and Advice and tagged dry, extinguishers, Fire, glasgow, paisley, powder, training, types. Bookmark the permalink.